Dimplex has successfully defended statements in their online leaflet against claims that they were misleading. GDC Group Limited who trade as Dimplex, defended their claims to the Advertising Standards Agency who reported their decision on 30 January 2013. We look at the decisions in more detail. 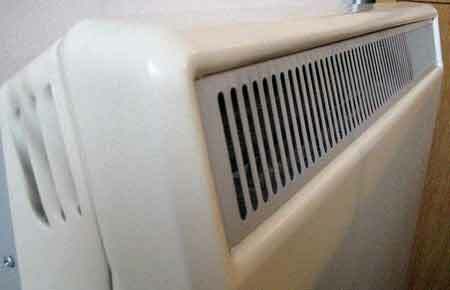 The Advertising Standards Authority (ASA) agreed that the performance of a Dimplex heater would not deteriorate over time. They concurred that “the product would always function at an efficiency rate of 100% from electricity to heat”, and that “the passive components in the heater had been designed to function at the same level for the lifecycle of the product”. The ASA ruled that Dimplex’s claim that storage heaters were cheaper to run was fair, because they can take advantage of off peak electricity. Storing heat when energy tariffs are low and distributing heat during the more expensive tariff hours. The ASA ruled that most consumers would understand the implied meaning of ‘traditional’ heating methods to be appliances fueled by fossil-fuels. By comparison with such appliances it agreed with Dimplex’s claims. While it accepted the complainant’s claim that generating electricity for the National Grid does mostly rely on burning of fossil fuels, it agreed that the individuals consumers experience was what Dimplex was referring to. The ASA agreed with the complainant that the heaters did have some moving parts but as they do not ‘routinely move during the operation of the appliance’ the claim by Dimplex was admissible. Perhaps more controversially the ASA also upheld Dimplex’s claim that their products are ‘maintenance-free for life’ referred to the fact that the heaters do not require regular servicing and maintenance required to keep the appliance working effectively, rather than never going wrong. See a great thread debating the merits of Gas Central Heating or Electric Night Storage Heaters on our DIY Doctor Forum. You can read our forum without being a member but if you want to contribute we ask you to register. It is free, but registering our users helps us to moderate the forum effectively for your safety. Have you seen our You Tube channel, for video tool reviews?